Samsung doesn’t need to revolutionize the smartphone industry in 2018 — it needs to iterate on all the hard work it did with the Galaxy S8 line last year. But with the added pressure of the tenth-anniversary iPhone out on the market, Samsung isn’t just resting on its laurels. The Galaxy S9 and S9 Plus bring both iterations on the Galaxy S8 design and some much-requested new features, but is the company’s focus in the right areas? 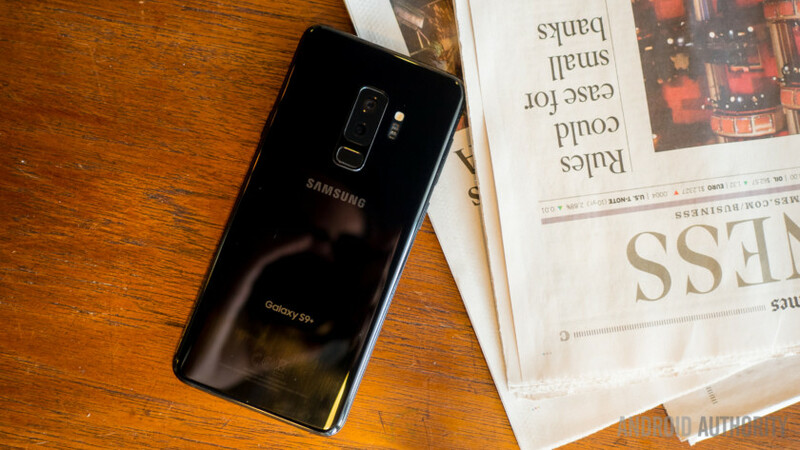 Samsung Galaxy S9 review notes: We’ve been using the Galaxy S9 Plus on Vodafone’s network in Barcelona, Spain for roughly a week and a half. Our review unit is running Android 8.0 Oreo, Samsung Experience version 9.0, and build number R16NW.G965U1UEU1ARB7 on the February 1, 2018 security patch. We’re holding off on adding review scores until we can put both the Galaxy S9 and S9 Plus through our full suite of tests, the results of which will be coming in a deep dive review in the near future. If you’re not careful, you might mistake the Galaxy S9 for an S8, but that’s not necessarily a bad thing. The Galaxy S8 and S8 Plus were two of the prettiest phones to launch in 2017 (or, dare I say, ever), and the S9 refines the design even further. Both the S9 and S9 Plus feature Samsung’s now-signature curved glass panels on the front and back, separated by an aluminum frame. Those curved pieces of glass make the devices feel extremely comfortable to hold, almost like they cradle right into your palm. The curved edges on the front panel are less intense than on the Galaxy S8, which makes swiping in from the edges of the screen a bit easier. The one big change in this year’s design is the location of the fingerprint sensor. The Galaxy S8 and Note 8‘s fingerprint sensors were in the worst place imaginable — to the right of the camera sensor. It was awkward and not at all well thought out. The sensor’s now where it should be, right under the camera in the middle, where your finger naturally falls when holding it. All the buttons, ports, and slots are in the same places as the S8. The SIM tray is on the top, the power button is on the right, and the left side houses the volume key and dedicated Bixby button. On the bottom, you’ll find the USB Type-C port, 3.5 mm headphone jack (yes! ), and a slightly redesigned bottom-firing speaker grille (more on the speakers later). The Galaxy S9 and S9 Plus are slightly smaller overall than their predecessors. This is because Samsung shrunk the top and bottom bezels, making the S9 1.2 mm shorter than the S8, and the S9 Plus 1.4 mm shorter than the S8 Plus. Both new models are heavier though — the Galaxy S9 weighs 163 grams compared to the S8’s 155 grams. and the S9 Plus weighs in at 189 grams compared to the S8 Plus’ 173 grams. The differences in weight are actually pretty noticeable. 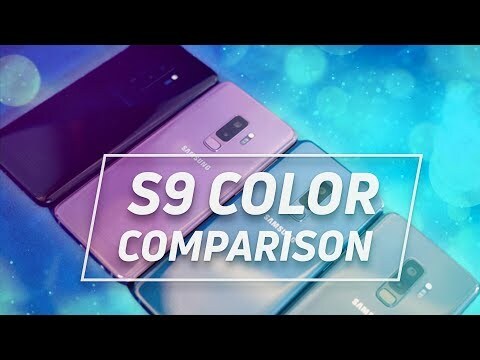 Samsung gave us the Midnight Black model for review, but the S9 and S9 Plus also come in Coral Blue, Titanium Gray, and the all-new Lilac Purple, which has been a favorite of ours ever since Samsung announced these phones. Whichever color you choose, be prepared for the Galaxy S9 to be an absolute fingerprint magnet, which is common with all-glass phones. Fingerprints aren’t the only things you need to worry about. These phones are fragile. It didn’t take long for our review unit to get some scuffs on the display. The top layer of Gorilla Glass 5 is already wearing away, which is easy to see when the screen is off. This has happened to a few other of our other glass-on-glass Samsung devices in the past, too. As premium as they might be, they aren’t perfect. The design may not be durable, but at least these phones are IP68-rated for dust and water resistance. This means they’ll be able to survive a dunk in fresh water at 1.5 meters for up to 30 minutes. Samsung has had the best smartphone displays on the market for years, and the Galaxy S9 lineup is no exception. Both Super AMOLED panels offer deep blacks, vibrant colors, and superb viewing angles. Seriously — these displays are a joy to look at day in and day out, no matter what you’re doing. Though the Infinity Display is a recurring feature of all Samsung flagships, the immersion aspect is a little dialed back because the left and right sides no longer bleed all the way to the edge. This minimizes the number of accidental palm presses users experience when reaching to the opposite edge of the phone’s screen. The displays also get 15 percent brighter than those on the Galaxy S8 line. They’re so bright, in fact, that turning the brightness all the way up is way too intense for anything but outdoor viewing. Fortunately, they get very dim too, which makes them great for reading on your phone before bed. The Galaxy S9 has a 5.8-inch, 18.5:9 aspect ratio display. The Galaxy S9 Plus comes with a bigger 6.2-inch screen. Both displays have a maximum resolution of Quad HD+ (2,960 x 1,440), though they are set at Full HD+ out of the box. They can also be downscaled to HD+ if you’d like to save some battery life. Samsung’s wonderful always-on display makes a return this time, too. This continues to be one of the more useful always-on display implementations out there. You can display the current time and home time if you’re traveling, as well as battery percentage, and all your notifications. Double-tapping a notification quickly opens it up too. Samsung has gone the Apple route with its two smartphones, offering slightly higher-end specifications in the bigger model. The Galaxy S9 comes with 4 GB of RAM and the S9 Plus has 6 GB. It’s unfortunate to see this, as it feels like a way to make users spend more on the Galaxy S9 Plus just to get that extra boost in power, not because the device actually needs it. 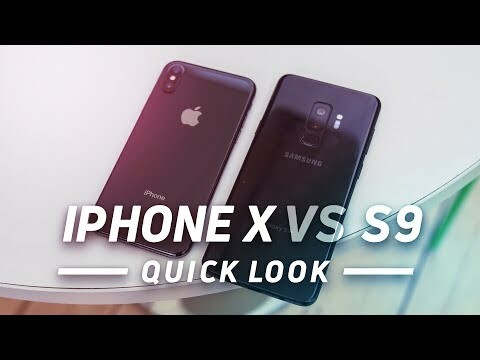 Both devices are powered by the Qualcomm Snapdragon 845 SoC in the United States, and Samsung’s own Exynos 9810 elsewhere. We have a Snapdragon 845-powered unit, though we will certainly be covering the Exynos version soon. It should come as no surprise that we encountered absolutely no slow-downs or stutters throughout our testing period. 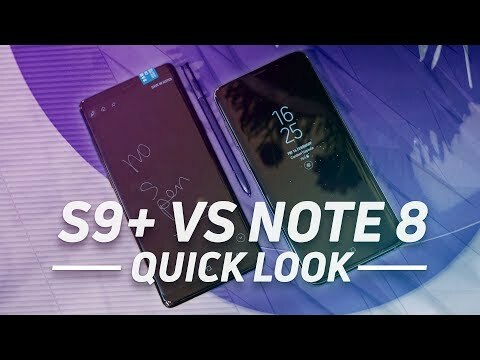 We’re positive the Galaxy S9 runs wonderfully as well, though we haven’t been able to spend a lot of time with it at time of writing. Games like Tekken and Final Fantasy IX performed without any problems throughout our testing, though we had some issues getting Final Fantasy Omnia Opera to load on our review unit. We’re sure this will be remedied quite quickly, though. Whichever model you get, you should be happy with how these phones perform. It wouldn’t be a Samsung device unless it packed in everything but the kitchen sink. Samsung gives users a hefty amount of on-board storage with 64 GB, which can be expanded via microSD up to an extra 400 GB. That extra storage is great news for those who like to load up their devices with plenty of music and podcasts. If you’re not streaming audio over the S9’s Bluetooth 5 connection, you can plug in your favorite headphones to the 3.5 mm headphone jack. That’s right — though seemingly every other manufacturer is removing the headphone jack, Samsung has decided to keep it. After all, everyone still uses it. I, for one, am very happy about this decision. Samsung also included headphones in the box, unlike some companies. In this case, it included the same pair of AKG earbuds in the box as with the Galaxy S8, which is a nice bonus. There’s also Dolby Atmos support built in, to provide a more immersive listening experience over wired audio. If you’re not listening to music with headphones, you’ll be happy to hear Samsung is finally focusing on improving the quality of its speakers too. The S9 and S9 Plus still have a bottom-firing speaker, though it’s now accompanied by a front-firing speaker on the top of the device, above the display. These AKG-tuned dual speakers are 1.4-times louder than the speakers on the S8 line, which is a welcome improvement. Because Samsung didn’t change much on the design front, neither the Galaxy S9 nor S9 Plus have room for bigger batteries. They sport the same 3,000 and 3,500 mAh batteries as the Galaxy S8 lineup. That’s not particularly great news — last year’s flagships didn’t have stellar battery life. The 3,500 mAh unit in our S9 Plus doesn’t perform any better or worse than the previous generation, at least so far. With heavy usage, our Galaxy S9 Plus achieved a maximum six hours of screen-on time over the course of a 12-hour work day. The workload consisted of video calling, YouTube and Hulu streaming, sending email, and scrolling through social media. During our heaviest camera testing days, our S9 Plus drained very quickly. After a full day of taking photos and videos around Barcelona, we managed to only rack up three hours of screen-on time, which only consisted of 90 minutes of camera app usage. So you’ll definitely want to bring a battery pack if you’re constantly shooting photos and videos. Of course, until we get to spend more time with it, we can’t vouch for the regular Galaxy S9’s battery life. Samsung at least makes it super easy to charge the S9. Both devices are compatible with Qualcomm’s Quick Charge 2.0 standard through wired charging, which means it will take about 90 minutes to get from single digits to over 90 percent. The addition of fast wireless charging through WPC and PMA standards is also quite convenient too, though that is usually used when the phone is idle. Finally, Intelligent Scan is the merging of two biometric features, Face Unlock and Iris Scanner. The S9 will automatically search for either your face or your iris when the phone is woken up. It isn’t an instantaneous unlock all the time though. Most of the time, the phone looks for a face, but might not get it because of an incorrect angle or something else, and then switches to infrared light for an iris scan. This takes time. Multiple prompts appear at the top of the lock screen giving advice on how to achieve the unlock, but for the most part you just have to make sure the phone is pointed right at your face and you are looking right at the phone. Face Unlock is not easy for the phone to do in the dark, but infrared light can always find an eyeball. At night, this has definitely proven useful. If there is one place Samsung really focused (no pun intended), it’s the camera. 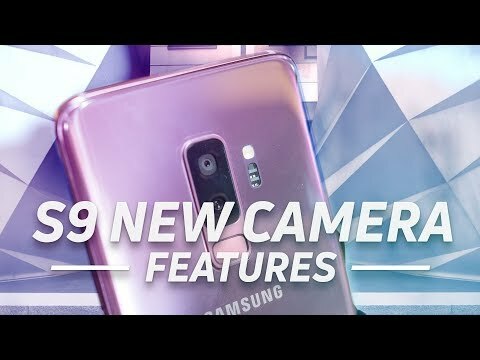 Samsung has improved its cameras a lot in the last few years, so it was interesting to see where it could possibly bring more innovation. As it turns out, there was plenty of room for improvement. Let’s start with the fun stuff — AR Emoji. Samsung’s take on the Apple Animoji is a self-customized avatar that can either be a caricature of oneself or a completely different thing altogether. AR Emoji are easy enough to make, no matter which camera is being used — let the camera detect the face and it will give you a starting template. The facial recognition is not perfect, but it probably was never meant to be. All AR Emoji face shapes are about the same so not everyone is going to get a picture-perfect version of themselves. Skin tone, hair style, and clothing can all be customized and the end result is saved in the camera app. Users can take pictures with their AR Emoji or even record video of the avatar’s face moving along with their own. Only the face is tracked, but it tries to move even the eyebrows correctly for more accurate expressions. This mode, while fun, is far from a polished product — plus, they’re pretty creepy if you ask me. You can also make yourself the character, but the face tracking is a little buggy and can lead to some odd twitches here and there. We’re sure there will be more options for customization eventually — perhaps sponsored by clothing companies or beauty brands. For now, it’s an easy way to make 18 GIFs of various emotions that can be shared easily with friends on any platform. Since we’re on the topic of personal expression, let’s talk about the front-facing camera. An 8 MP camera with autofocus is up front and it should be familiar to any recent Samsung user. The selfies from this camera are good, but may not be as good as results from the Google Pixel 2’s machine-learning shooter. A type of portrait mode is now available in the form of Selfie Focus, which tries to find the cutout of the subject and pleasantly blur the background. The results are hit and miss, even ignoring how soft the photos are to begin with. Regardless, selfie lovers will have plenty to enjoy with the Galaxy S9 front-facing camera, even with its quirks. If there is one thing we really wish the front-facing camera had, it’s the multi-frame processing of the main camera module. Whereas the Google Pixel 2 applies its machine learning to either camera, it seems Samsung gave this new processing power to only the rear camera — and only the main lens, at that. That said, Samsung is clearly putting its best foot forward with the rear 12 MP shooter, which sports a dual aperture mode (more on that in a second). Multi-frame processing is a technical term for the camera’s ability to capture dozens of photos in a split instant and use all of the data to properly process a good final result. All of this work happens on the camera module itself, where the built-in DRAM holds the data during processing. This has been seen in previous forms like HDR+ on the original Pixel. We will compare Samsung’s implementation a little more to the Pixel 2’s machine-learning algorithmic methods soon, but there is one distinct difference — Google has a massive photo database to draw its data processing from, which is a huge advantage. The pictures coming from the main shooter all look pretty great, even in low light. This is due in part to the f/1.5 aperture which helps flood in an incredible amount of light for a smartphone. The S9 manages to pull a good photo out of a less-than-ideal situation better than any Galaxy device before it, using the large aperture in concert with multi-frame processing and optical image stabilization to minimize blur from the lowered shutter speed. F/1.5 is great, but it is not the only aperture you can use on the S9. Yes, dual aperture is possible now, with actual mechanical blades closing down over the sensor to bring a f/2.4 option on the same lens. Photographers will say this is not a huge change, but when exposing a photo in super bright daylight situations, every little bit helps. It certainly is true for the f/1.5 setting in the opposite direction with dark scenes. The depth of field effects of the f/2.4 setting are noticeably different, as background elements don’t have as much blur. If you want to have that super soft background, it is easy enough to go into the Pro mode and change the aperture setting accordingly. Some optimization is still required, though. The camera still prioritizes lower shutter speed over higher ISO sensitivity and thus motion blur is somewhat common. Using different apertures means the rest of the settings have to change accordingly, and if the S9 is always trying to figure that out on the fly, it simply gets the math wrong sometimes. The Samsung camera isn’t perfect, but it has the most tools to get the job done. If you want every camera tool possible, the S9 Plus is definitely the one to look at — the question is just if you really need it. The telephoto lens does not seem to get the same multi-frame processing treatment as the main sensor, which makes sense because the main sensor is developed with the smaller S9 in mind. The telephoto lens is an extra on the bigger model. However, having a zoom lens affords the S9 Plus a proper portrait mode in Live Focus, instead of the software-driven Selective Focus of the S9. We got to test the differences between these two and the zoom lens combo clearly yielded better cutouts and overall better portraits. Selective Focus on the regular S9 is as hit or miss as the Selfie Focus on the front-facing camera. You’ll have to decide for yourself how important zoom and portrait mode are to you — and whether you’re willing to pay the extra to get them. The rear camera is capable of 4K 60 fps video capture, which is nice for very fluid motion capture. Videos from the S9 Plus are detailed and helped along by optical image stabilization in the rear module. The camera is also capable of very high speed, 960 fps video capture at 720p. The lower resolution might not be ideal for smartphone filmmakers, but the result is still eye-catching. In those cases when the moment is tough to capture, the camera app also has an Auto mode that triggers the Super Slow Motion at, hopefully, the appropriate time. One thing is clear: Samsung knew photography buffs would get a kick out of the lens hardware upgrade — no one else will really notice the difference. Typical users will like the AR Emoji and the Super Slow Motion, but when shooting in auto mode, the apertures change accordingly without user input. The f/2.4 aperture was a necessary move to cover the pitfalls of such a wide open f/1.5 lens. Sure, it floods in superb amounts of light, but having super fine focus isn’t ideal in all situations. Samsung found a way to engineer the best of both worlds in a way most users won’t notice and experienced photographers can exploit. If anything, this camera is a great example of Samsung actually finding a way to please everybody. Samsung went with the “if it ain’t broke, don’t fix it” mentality with the Galaxy S9, leaving basically all aspects of its Samsung Experience launcher unchanged from the S8. That’s not a bad thing — the Galaxy S8’s software was a huge step up from Samsung’s previous phones, and we’re happy to see a very similar software experience here. We just wish it ran the latest version of Android. The Galaxy S9 and S9 Plus are both running Android 8.0 Oreo out of the box, which at the time of writing is a seven-month-old version of Android. Don’t get me wrong — Android 8 is fantastic, but it’s not Android 8.1. Samsung has no excuse for launching its over-$700 smartphones without the latest version of Android, especially when it’s been available for three months. The good thing is that this likely won’t be the case going forward, as the S9 and S9 Plus are primed for faster updates thanks to Project Treble. One thing that hasn’t changed between generations is the number of duplicate applications Samsung includes in its software package. For some reason, the company still finds it necessary to include its own apps when Google’s apps are perfectly acceptable. Some of Samsung’s apps offer extra features which might not be available in Google’s ecosystem, but the fact remains the app drawer is pretty stuffed out of the box. For what it’s worth, Samsung’s stock Gallery app comes with a few unique features of its own. The GIF creator feature is a really fun way to extract up to six seconds of an existing video and makes it easy to share on just about any platform. If you put a little bit of extra thought into it, you can get a fun looping GIF like one of the few presented below. One of the smaller changes to Samsung’s launcher is that both the app drawer and home screen can now be used in landscape orientation. 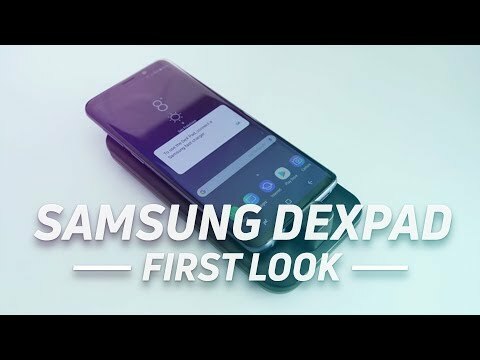 This may not be the flashiest feature on the Galaxy S9, but it’s certainly going to make some users happy. The company isn’t giving up on its virtual assistant anytime soon, either. Bixby returns on the S9 line, bringing only a handful of minor improvements, which likely won’t change the way you feel about it. If you used it before you’ll likely continue to, but if you didn’t, there’s no major reason to start. Samsung has added a few augmented reality features to Bixby Vision, including the ability to live translate text from other languages. Just point the camera at some text, tap the Bixby button, and it will (try to) translate the text in real time. The text appears as an AR overlay. Live translation has not been accurate in our testing, but it could be just good enough to help if you’re lost in translation. Bixby also has the ability to summon nutritional information for food it recognizes. In theory, you should be able to point your camera at a donut, press the Bixby button, and receive nutrition facts about the donut in just a few seconds. This doesn’t work extremely well, either — it’s been pretty hit or miss at best. You can still access Bixby Home by swiping over to the left-most home screen. This remains a worthy landing page for anyone who doesn’t already use the Google Feed. Pressing the dedicated Bixby button will also bring you to Bixby Home, but you can disable the button if you don’t want to use it. Holding down that physical Bixby button will trigger Bixby Voice, which is slowly but surely gaining unique voice recognition improvements. Bixby is still one of the only virtual assistants that can recognize multiple commands at a time (“add coffee to my shopping list and call my wife”). Bixby is still miles away from Google Assistant in terms of speech recognition, reliability, and features, but it is making progress. Bixby 2.0 will likely launch this year and will supposedly bring voice recognition enhancements to better recognize individual voices. If you’re unimpressed with Bixby in its current form, you might feel differently on the Note 9. Though we briefly mention it in the display section above, a large amount of customization options are given to the user through the lock screen and always-on display settings. Videos created using the Super Slow Motion mode can immediately be made into a lock screen background, as can just about any 15-second video. Unfortunately, unless you are actively making it play, biometric features like Intelligent Scan or the fingerprint scanner make this a moot feature because you blaze past it to the home screen very quickly. Apps Edge remains on the edge of the Infinity Display and a number of panels allow for easy access to most used apps, most contacted people, and a number of other features. Samsung’s own gaming features provide Do Not Disturb modes and button locks while playing. Dual Messenger helps users with multiple accounts on social media applications. Features like Secure Folder, Samsung Health, Samsung Notes, and any other app you may or may not use from previous Galaxy S or Note device are all here too. While the experience might be generally overwhelming, it will all be familiar for Samsung veterans. As you’ve probably guessed, these phones aren’t cheap. The Galaxy S9 is now available for pre-order for $719.99, and the Galaxy S9 Plus can be pre-ordered for $839.99. 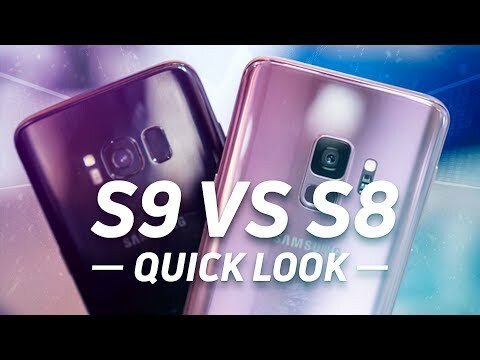 Both phones arrive Friday, March 16, on Samsung.com and through a variety of other online retailers, carriers, and brick-and-mortar stores. For those prices though you get two of the most beautiful, feature-packed smartphones ever made. These phones deliver in all the areas we expected. The displays are top-notch (and notch-less). They sacrifice nothing under the hood. Both boast solid camera performance. These are probably the best Android phones for most users, and I’d have no problem recommending them to almost anyone. However, they’re not perfect — Samsung needs to get better at software updates, or at least launch its phones with the most recent version of Android. They also lack the level of polish found in the Pixel 2 and iPhone X. AR Emoji are a bit buggy, and there’s still no compelling use case for Bixby. Luckily, those things can be fixed with software updates or by simply not using them. The Galaxy S9 and S9 Plus are predictable, iterative devices. But is that so bad when their predecessors were two of the best phones of last year? We certainly don’t think so.